Thomas E. Verrier is Senior Band Conductor and Director of Wind Ensembles at Vanderbilt University’s Blair School of Music. He serves as conductor of the Vanderbilt Wind Symphony, artistic director of the Vanderbilt Music Academy in Berlin, Germany (a joint project with musicians of the Berlin Philharmonic), and was the founding director of the Conductors Lab in Aix-en-Provence, France. His teaching duties include undergraduate and graduate-level courses in conducting, pedagogy and education. In addition, Verrier is a clinician for Yamaha Music Latin America and served as the Program Director of the Sistema Nacional de Educación Musical Instituto de Desarrollo Musical, a collaborative project of the Blair School of Music and the Ministry of Culture of Costa Rica. Verrier has accepted invitations to conduct throughout the Americas, Asia and Europe. He has presented and/or conducted performances at conferences of the Congreso Iberoamericano de Directores, Compositores, Arregladores e Instrumentistas de Bandas Sinfónicas (Tenerife, Canary Islands), the Asian Pacific Band Directors Association (Macau and Hong Kong), the Hong Kong International Band Fair, and the Midwest Band and Orchestra Clinic (Chicago). Ensembles under his direction have been selected to perform for the International Society for Music Education (Tenerife, Canary Islands), The National Association for Music Education (NAfME) National In-Service Conference (Nashville), the North American Saxophone Alliance (Los Angeles), southern and western division conferences of the College Band Directors National Association (CBDNA), as well as the CBDNA National Conference (hosted the Blair School in March 2015). Verrier has guest conducted the United States Army Field Band as well as professional ensembles in Argentina, Brazil, Peru, Costa Rica, China, and Spain. He has served as consultor artístico with the Dirección General de Bandas of Costa Rica and he is the artistic advisor of the Hong Kong Wind Ensemble. 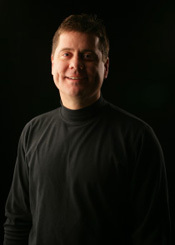 Verrier is a member of the American Bandmasters Association and serves on the Executive Board of the College Band Directors National Association as the organization’s national executive secretary.